We’d love your help. Let us know what’s wrong with this preview of The Labyrinth Wall by Emilyann Girdner. To ask other readers questions about The Labyrinth Wall, please sign up. Please don’t take all I said as your own thoughts. I am 100% in the minority of people who didn’t like this. I’m actually the only person who’s given this a 1 star review on goodreads. So PL You don’t understand how hard it is for me to write this review. I had the pleasure of meeting and doing an interview with the author (Emilyann Girdner) and she is just so SWEET (check out part 1 of the interview here and part 2 here)! I loved meeting her and I was so excited to read her book… until I wasn’t. Most stories involving labyrinths follow someone from the outside who becomes trapped inside one, trying to find their way out. A unique twist in this book, the characters the story follows were created inside the labyrinth, and have never escaped. Desperate to find something more to life than living as an eternal prisoner, constantly in a state of near starvation and death, Araina teams up with several other people, most of whom she knows she can't trust, in order to find a way out of the labyrinth. Full of exciting situations, humor, and a good look at the human psyche of a labyrinth prisoner, this book pulls you in, and doesn't let you go until the very end. This story mesmerizes you with fights against guards, cannibals, saber tooth mutts, and some slightly insane creatures. Well written and smooth, Emilyann Girdner has created a wonderful reality with this labyrinth experience. I look forward to reading more books from her in the future, and would recommend this book to anyone who enjoys a good fight-for-survival adventure. *I was given an ARC eCopy of this book, from the author, to read in exchange for an honest review. Loved it! I could imagine the characters with perfect clarity! Emilyann has brought the world of the Labyrinth to life with so many splendid details! I cannot wait for the second one to come out! Why were the Mahk created in the first place? Will they ever make it out of the labyrinth? Is it even possible to escape? The Rotting Pass was so creepy and a particular character found here sent shivers down my spine! And the river? So very, very dark. So many other things I could rave about but I'm af Loved it! I could imagine the characters with perfect clarity! Emilyann has brought the world of the Labyrinth to life with so many splendid details! I cannot wait for the second one to come out! Why were the Mahk created in the first place? Will they ever make it out of the labyrinth? Is it even possible to escape? The Mahk are a breed of workers brought to life by the Creators, already fully-developed. They mine for obsidian (for a purpose that is not explained) in exchange for meager food rations, and they live in the labyrinths surrounding Simul's castle, fighting and killing each other for their food. Araina is a Mahk who came into existence only two years ago but who resembles a seventeen-year-old girl. She lives in a secret spot in the Labyrinth with only Blue, a large bird with blue feathers, for co The Mahk are a breed of workers brought to life by the Creators, already fully-developed. They mine for obsidian (for a purpose that is not explained) in exchange for meager food rations, and they live in the labyrinths surrounding Simul's castle, fighting and killing each other for their food. Araina is a Mahk who came into existence only two years ago but who resembles a seventeen-year-old girl. She lives in a secret spot in the Labyrinth with only Blue, a large bird with blue feathers, for company. One day Araina witnesses a man in white shimmer through the labyrinth wall, and she follows him to Simul's castle to seek answers. This is the beginning of an extraordinary adventure, as Araina and some new-found friends struggle to find their way back to the wall. But will they find something better on the other side of the labyrinth wall? This is a totally engrossing book; however, too many sentences begin with dependent clauses. As the book progresses, either this stops, or I stopped noticing as I became more involved in the narrative. Darith's colloquial speech is annoying, especially as it is so different to the formal tone set by the author and the precise language of Araina and the rest of the Mahk. (I'm hoping Darith's speech variation may become relevant in a later book.) The story is also a bit repetitive, and there is too much introspection from Araina (but I thought the same of Katniss in The Hunger Games; interestingly, the author cites Suzanne Collins as one of her influences). Despite these flaws, this is an action-packed adventure, full of interesting characters, thrilling encounters, and the all-important quest. The author has created an imaginative land full of horrors: hunger, discomfort, hard work, Mahk killing Mahk for food, the cannibalistic Nabal in the Blood Caves, the Darktouch flowers that can turn you to stone, hidden booby traps, the Rotting Pass with its poisonous mist and saber-tooth mutts, the dog-like Sir Riddles, a lava-spewing volcano, the giant snake-like Buyu, and the remorseless Creators themselves. Some scenes are quite gruesome, making this unsuitable for younger readers. While this episode is complete, further adventures in the labyrinth will follow. I look forward to reading them. It wasn't the worst book I've ever read, but it certainly ranks among those that weren't worth the time and effort to read. It doesn't help that I was reading the first edition, apparently self published by someone who doesn't understand the mechanics of putting together a book that's mechanically good to read. It also would've benefited from a good copy-editor - someone who knows that "wringing her hands" starts with a w, for example. This was a fun read. Was the plot simple? Yes. Were the characters something absolutely new? No. But damn it, I enjoyed myself reading this. Sometimes we need to read books that aren't as complex as others so we can have some breathing room. Although nearly everyone seems to appreciate this book, I regret to say that I’m among the few that didn’t like it. It confused me, I struggled to follow the storyline, and I never really connected with the characters or their world. In a word, this book didn't work out for me. I found this book interesting, but only so-so. It was written fairly well, and I like the plot and characters overall, but there were also some problem spots for me. Trapped inside a labyrinth, which is the only home she's ever known, Araina is a Mahk, or a created human. Grown and given life by the Creators who rule the labyrinth, Araina has only been alive for two years. In that time, she tried to stay alive and stay away from the other Mahk, who might kill or hurt her to steal her food rations. She keeps a pet bird, Blue, and mostly tries to stay in the secluded area where Blue likes to live. A kinder, gentler soul than her fellow Mahk, Araina is very much out of place in her kill-or-be-killed kind of world. Araina is a great main character. There are plenty of conflicts for her to experience, and she does grow over the course of the novel into a more complex character. She mostly just wants to be left alone and to live in a better place. Some of the relationships seem rather contrived to me. The relationships that seem to work best, in my view, are Araina's relationships with Korun and Blue. However, the relationship with Korun at times seems forced. And there was one spot near the end where there is no mention of Blue and I was left very much confused at to what had happened and where Blue was, since Araina was completely unconcerned about the status of her pet, which seems very out of character. I was at times not a fan of the writing style, but that is largely a personal preference, and other readers may not mind as much. For me, there was instances when I thought the writing could have been tighter, or I would have appreciated further description of something when there was none. As for the plot, I have nothing negative to say about it. I thought the plot was very well done and set out a logical, suspenseful fashion. There was a point when I worried that some items in the beginning of the book had been forgotten or wouldn't be wrapped up, but everything came to a fairly satisfying conclusion. I thought some of the enemies Araina faces were very creative and thoroughly terrifying, though the saber tooth dogs/mutts reminded me a little too strongly of the mutts from The Hunger Games, though that may just be because of word choice. Strong start to the Obsidian series, this book is fascinating by its world itself. The world-building is incredible, unsettling and intriguing thanks to the author's clever and vivid descriptions. There's a lot of action, a lot of tension, and the prose is easy to read and rich - a great mix to keep the readers entertained! A thrilling read from beginning to end. It is amazing that a first time author would be so amazingly thorough in all aspects, from characters, plots, to settings. The visuals it brought to mind of a singularly dystopian world full of magic, tyranny, and the struggle for freedom and personal independence, were simply amazing! 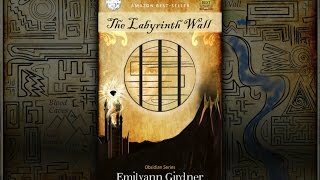 The Labyrinth Wall by Emilyann Girdner is a fantasy novel and book one in her Obsidian series. In this book we are introduced immediately to Araina. Araina is a Mahk. She is a human given life by the Creators. She was made and thrust into the Labyrinth and told to find obsidian to pay her tax in order to be given food and water to survive. She is not told why she has been made or what she is there for. She along with other Mahks lives in the labyrinth. It is survive by any means necessary and so The Labyrinth Wall by Emilyann Girdner is a fantasy novel and book one in her Obsidian series. In this book we are introduced immediately to Araina. Araina is a Mahk. She is a human given life by the Creators. She was made and thrust into the Labyrinth and told to find obsidian to pay her tax in order to be given food and water to survive. She is not told why she has been made or what she is there for. She along with other Mahks lives in the labyrinth. It is survive by any means necessary and sometimes for some of the Mahks that means killing others. Araina has managed to survive without killing but she is alone except for her friend and pet Blue, a strange bird that she has befriended. One day while exploring water she never knew to be safe until Blue showed her, she finds herself in a place next to the Wall. While there she is attacked by another Mahk, Darith. Darith is intent on capturing and killing Blue for food but Araina isn’t going to let him do that. During their fight a man emerges from the Wall through a rippling spot. He heals Araina of her wound and then he runs off. Not long after Creators come, chase him down and capture him. Curious as to what is going on Darith and Araina team up to rescue the man. What they end up setting in motion is a chain of reactions no one saw coming. The Creators wish to destroy those in the labyrinth now, but the question is why? Is it because of the man they captured or is it something more? 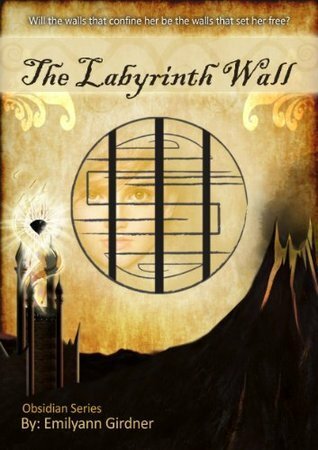 The Labyrinth Wall is the first book that I have read by Emilyann Girdner. When I first read the blurb for this book sounded really engaging and interesting. It was compared to other series that I am familiar with and enjoyed very much. When I started reading this book it was more reminiscent of The Maze Runner for me. Araina is created, thrust in the Labyrinth and made to live there with barely enough food to survive. The labyrinth itself is full of dangers that they are not warned about and must learn through trial and error, but for most error equals a quick death. My curiosity pushes me forward through this story because I’m curious as to what will happen next at each turn that the characters find themselves taking. This story doesn’t really give you a lot of background on why things are the way that they are, who the Creators are and why they “create” the Mahks. I would have liked some back story to better set the stage for the story itself. We are offered some insight here and there but some revelations end up coming from the actual characters themselves in moments. I was also expecting the labyrinth to be more…deadly. When someone says it’s deadly for me that means that there is trouble or danger at every turn. When the “traps” are “activated” I’m expecting something nasty to be waiting more often than not. I like this book but I was honestly expecting more from it overall. This book makes me think a bit of the Hunger Games meets Maze Runner. I wanted more fantasy element to the story but it is a unique read. I enjoyed it overall. I really did. The book isn’t action packed but it definitely has its engaging moments and unique elements. The book has been proofread really well, which I appreciate. I am going to rate this book 4 out of 5 stars. I feel the blurb builds it up a bit too much. The labyrinth has its hidden dangers but I honestly wanted more from it overall. If you are looking for a fantasy book that is different from the rest then this is definitely a book to check out just don’t get your hopes up too high. I was given a copy of The Labyrinth Wall the coloring edition. Sometimes the hardest thing to do while reading a book is trying to picture exactly what the author is describing to you. The Labyrinth Wall Illustrated Coloring Novel Edition really breaks that barrier. But it isn't just the vision barrier that Emilyann Girdner breaks in this book. We've all been there, invested in a book but you get to a kind of reading lull. Well there's no lull in The Labyrinth Wall because we are also given some I was given a copy of The Labyrinth Wall the coloring edition. We've all been there, invested in a book but you get to a kind of reading lull. Well there's no lull in The Labyrinth Wall because we are also given some wonderfully done coloring breaks. What a fresh new take on keeping readers involved with the story. Araina is unlike all the other Mahk in the Labyrinth. She doesn't kill, no matter if would benefit her and it doesn't go unnoticed. The Labyrinth Wall takes place in a barren world where you literally just wake up one random day. As Mahk you are expected to bring what is essentially payment (obsidian) to the Creator's which seems to me a lot like overlords. In return for you obsidian you are given an extremely small gift of food and water and sent on your merry way to solitude out in this behemoth Labyrinth where every man and woman literally have to fight one another for survival. "You offer your obsidian, you eat, you kill and you survive. It's time to quit hoping for a new reality". Araina basically decides to raid the overlords castle to figure out why some guy came out of the Labyrinth wall and who he was. I don't feel like there really is much more I can summarize without giving the story away. At first I wanted to give this story a 3 stars and here's why. I found the beginning of the story to be slow and a little hard to follow. There was a lot of words thrown around I didn't understand and basically it was a cold start to the story. Which makes sense after reading the book. Araina didn't grow up in this world she was just developed just 2 years ago. In the beginning of the story her odd obsessions with her pet bird and finding out who the man in white who came out of the Labyrinth wall kind of threw me off. I didn't understand why someone who spent the whole 2 years of her life running from people, hiding from people and watching people murder each other for what they had would be so gung ho to work with some guy she had constantly rivaled with for food and water. That being said 1/2 way through the book everything seemed to click and I decided the book deserved something between 3 and a half stars and 4 stars. I understood what the characters were saying, what their motives were... what was driving them. The idea that these people who were given nothing, no memory, they were forced to live outside and fight each other for everything in this crazy maze with different obstacles while the Creators lived the high life really fascinated me. There was a lot of action and a lot of coming to age stuff going on. I would say this book is a combination of Hunger Games and Maze Runner (well I haven't read Maze Runner but it reminded me of the movie) with occasional dashes of Princess Bride (i.e. the fire swamp and R.O.U.S). I did end up getting super invested in the story and am excited to see where the second book takes the Stop correcting "characters". I feel that most books that I don't get 100% invested in during the first book only get amazing as the series go on. I have extreme faith that this series is just like that. It's an interesting story in need of editing. There were times I read a section over a few times thinking that surely I was just too distracted by the day's events and blanked out something. Nope, it's like they had an idea and wrote it out before they forgot it, but didn't remember to go back and work in how things got to that point at times, so it gets a little confusing here and there. Araina's entire life consists of turning in pieces of Obsidian for food and staying alive within the deadly labyrinth where she and the other Mahk live. Her only joy is her pet bird Blue. One day Blue leads her through a wall of vines to a beautiful new place, the gardens of the castle, where the Creators live. There Araina sees something unbelievable, a man shimmer through the wall of the Labyrinth. Suddenly she has knowledge, knowledge that there is more to life than where she lives and that i Araina's entire life consists of turning in pieces of Obsidian for food and staying alive within the deadly labyrinth where she and the other Mahk live. Her only joy is her pet bird Blue. One day Blue leads her through a wall of vines to a beautiful new place, the gardens of the castle, where the Creators live. There Araina sees something unbelievable, a man shimmer through the wall of the Labyrinth. Suddenly she has knowledge, knowledge that there is more to life than where she lives and that it is possible to escape, but her knowledge comes at a cost. When the Creators discover her, she is forced to flee back into the maze, one that has now been turned into an even deadlier death trap, to kill all Mahk, especially her. Araina teams up with a rag-tag group of other Mahk to escape the maze and find the hole in the wall. This is a good sci-fi fantasy read. Our heroine is different from other Mahk, she has a good soul. As the story evolves, so does she. Araina learns that it is okay to leave her lonely existence and depend on others. She learns to exist within a group and put the good of the group at the head. I enjoyed the story for the mysteries it brought to life and continued reading for the answers. Who are the Creators? Who are the Mahk (they seem to be brought to life mid life span or perhaps just their old memories are wiped and they think they have been created?) What is this labyrinth that turns out to be one maze inside another? Araina is far from a normal teenager. To sya she has trust issues is an understatement. She is not actually even human but was created a teenager and not understanding who, what, or where she was made from she lives in an elaborate labyrinth where every moment is a fight for survival. Her only true friend is a blue bird like creature. She must constantly steal, fight, hunt, and even murder for food. Most of the water in the Labyrinth is acidic and other creatures, humans, guards and monsters ar Araina is far from a normal teenager. To sya she has trust issues is an understatement. She is not actually even human but was created a teenager and not understanding who, what, or where she was made from she lives in an elaborate labyrinth where every moment is a fight for survival. Her only true friend is a blue bird like creature. She must constantly steal, fight, hunt, and even murder for food. Most of the water in the Labyrinth is acidic and other creatures, humans, guards and monsters are ready to kill. When she sees a stranger come through a wall and he in turn helps her instead of trying to kill her it sets her on an adventure she could have never imagined. She is forced to face the unknown as well as journey through the Labyrinth as it's creators try to use it to kill everyone. She must learn to trust others and learn to work with others as well. Her once bleak existence is now life or death from moment to moment. From the political leaders, monsters, psychos, sorcerers creatures, cannibals, even blades and Lava, the Labyrinth is the ultimate killing machine. Can Araina stay alive long enough to find out why they want her dead along with everyone else, or even why she was created to begin with? A really engaging and creative young adult fantasy novel. What I enjoyed most about this read is how fast it took off. You literally start off at a dead sprint with Araina and her life in the labyrinth. Emilyann's world building is absolutely incredible and she does a marvelous job of planting seeds of information early in the exposition while simultaneously keeping the reader guessing. I loved Araina, faults and all. While at times I was frustrated with her lack of rela A really engaging and creative young adult fantasy novel. The Labyrinth Wall is a captivating fantasy story about being born into slavery, compelled to fend for oneself without regard to the wellbeing on one’s own kind. It is you or death trying to survive in a harshest of environments. Araina has been successful in surviving for two years since her creation, she knows no other way of life. Her only companion, who loves her unconditionally, is a Blue bird. She meets another of her kind, whom she doesn’t trust, but is willing to journey with him to fin The Labyrinth Wall is a captivating fantasy story about being born into slavery, compelled to fend for oneself without regard to the wellbeing on one’s own kind. It is you or death trying to survive in a harshest of environments. Araina has been successful in surviving for two years since her creation, she knows no other way of life. Her only companion, who loves her unconditionally, is a Blue bird. She meets another of her kind, whom she doesn’t trust, but is willing to journey with him to find a better life. They encounter Creator guards chasing after another slave and try to come to his rescue. Araina is badly hurt and the strange slave heals her before he is captured. She vowels to rescue him and so her journey of discovery beings. Taking action however has its consequences both good and bad. Along her travels she meets others like her, and a few new species. The group joins together to battles lava flows, cannibals, deadly flowers and monstrous creatures for freedom and a better way of life. I recommend this entertaining book to all fantasy lovers. I won this e-book on Goodreads.com. Full of page turning fantasy. 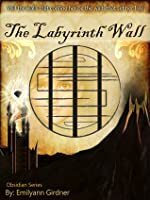 The Labyrinth Wall is an interesting young adult fantasy book. It’s a little twisty turns and the characters have many different layers that unfold as the story goes on. One moment you may love a character and the next you may be hoping they get eaten by a cannibal or a saber toothed creature! The main character is portrayed to be in her late teens, but I had a hard time picturing her as older than 12 or 13 for some reason. Either way the plot was interesting and it Full of page turning fantasy. I have mixed feelings about this novel. While the premise, an oppressed society trapped in a mysterious labyrinth and a chance to escape it albeit into an unknown other option, sounded intriguing and innovative, I found the execution lacking. There were a few odd phrases in the use of language and the dialogue was heavy on exposition. I did like the main character, a strong and rounded girl, but thought the side characters were a bit flat and exchangeable. One could argue that some of the plot p I have mixed feelings about this novel. While the premise, an oppressed society trapped in a mysterious labyrinth and a chance to escape it albeit into an unknown other option, sounded intriguing and innovative, I found the execution lacking. There were a few odd phrases in the use of language and the dialogue was heavy on exposition. I did like the main character, a strong and rounded girl, but thought the side characters were a bit flat and exchangeable. One could argue that some of the plot points were unoriginal and called back heavily to series like "Maze Runner" and "Hunger Games", while others were a bit too far on the ridiculous side and failed to create suspense. However, there were also many great moments, especially in the interactions, emotions and interpersonal conflict. Overall, I think this serves as a great opener to a series, as it introduces the readers to this world but leaves many questions to be solved in a sequel. The story was a bit slow to start but soon I was eager for more as Araina starts to build relations with the people she encounters. The Labyrinth is a deadly trap and her group is set on getting out of it, or die trying. The heroine is at first very isolated even when she is surrounded. Her loneliness and trust change step by step when she discovers that her people might be more than heartless killer for survival sake. Slowly she and the other characters discover more of their worlds and themsel The story was a bit slow to start but soon I was eager for more as Araina starts to build relations with the people she encounters. The Labyrinth is a deadly trap and her group is set on getting out of it, or die trying. The heroine is at first very isolated even when she is surrounded. Her loneliness and trust change step by step when she discovers that her people might be more than heartless killer for survival sake. Slowly she and the other characters discover more of their worlds and themselves as their journey reveals who they really are. The Creators act as gods in this world but Araina wants to discover the truth behind her creation and the reason the Creators are so cruel to her kind. Hints there and there lead to the other side of the wall in a quest that could change much more than she ever thought about. What I liked: The fast pace. This book starts and immediately gets you into the adventure and mystery. You're never left with a dull flat moment. It keeps up this momentum almost continuously throughout the book. That was nice. I also enjoyed the idea for this story, the maze, Creators vs. Mahk, etc. Interesting and entertaining. What didn't I like: A lot of the time the plot or actions of characters was highly predictable. Not too many twists or turns that I didn't see coming. Also, the main character can sometimes be very smart and other times be extremely stupid. There were times that it didn't make sense for her to not be taking advantage of a situation or person and it would have fit with her personality. I think that and the fast pace don't leave much room for character development to a point where a reader starts to bond with them. So the whole world building too a little bit for me to get into. In the very beginning I was completely confused and thought the book was set in the underworld or something and when I finally understood where it was taking place and what was happening I was well into like 15% of the book. I did like Araina's character though, she was a well developed character that despite being faced with fantastic circumstances, they were still very real world like! I loved the role that Korun played....and Darith too! Those three were my favorite characters. I did like the others as well, from the colony and they helped shape the overall story but the first three definitely stood out. I would definitely continue reading this series because it was very eventful and suspenseful and kept me interested. The story of Adriana and Blue is a great story of survival, It is an adventure with all kinds of unforeseen dangers lurking around every corner. It is the story of a young woman living in a Labyrinth there are others of her kind but to interact with them could cost her life. Adriana has no memory of any life before the one she currently lives, just the last two years surviving as she dose mining obsidian and dependant on the Creators for the meager portions of food and water given only when she has obsidian to trade for it. This book started out like “Soylent Green” for me. It moved on to possessing serious elements of the “Hunger Games” in that the characters are in a lifelong struggle with the upper classes and feud amongst themselves for what they need to survive. Araina is a truly likable character and I wanted her to succeed from the start. The book was fast paced from start to finish and I can't wait to finish the series. Emilyann Girdner is the author of Amazon Best-Seller, Dante Rossetti Award Finalist and Reader's Favorite 5 Star rated young adult fantasy novel, The Labyrinth Wall. Emilyann's writing has appeared on websites and blogs including Sound & Communications Magazine, The TV Shield, Center for Work Life, Easter Seals Florida, MU Museum of Art & Archaeology's Musings and Examiner.com. She has bee Emilyann Girdner is the author of Amazon Best-Seller, Dante Rossetti Award Finalist and Reader's Favorite 5 Star rated young adult fantasy novel, The Labyrinth Wall. Emilyann's writing has appeared on websites and blogs including Sound & Communications Magazine, The TV Shield, Center for Work Life, Easter Seals Florida, MU Museum of Art & Archaeology's Musings and Examiner.com. She has been a guest and spoken for events with organizations such as Barnes & Noble stores, Wizard World Comic Con, AltCon and MegaCon Fan Days. Entertainment industry pros such as actor Sean Astin (from Lord of the Rings, Rudy, 50 First Dates and more) and author Crystal Collier (Maiden of Time Trilogy) are talking about Emilyann's work. And City Surfing Orlando, Miami.com, Orlando Weekly, Street Insider, Tallahassee Democrat, Tallahassee Magazine and WorldNews are some of the media outlets that have mentioned Emilyann. She is best known for the Obsidian Series (including young adult fantasy novel, The Labyrinth Wall). Though she was born in Germany and raised in Turkey until the age of five, Emilyann Girdner spent the majority of her grade school years in Tallahassee, Florida. She discovered early she had a love for stories. Reading books, watching movies and then acting them out with friends or toys gave living an extra flavor. This is likely why she spent the first part of her college career studying Creative Writing, before switching to Graphic Design and then graduating with a BFA in Digital Art from Missouri State University.